← Cenarius Gonna Sue Somebody! Take the sword. TAKE IT! Why, to see your enemies driven before you! Deep within the Badlands, just up the hill, I stumbled upon this lovely little pop culture reference to Conan the Barbarian. There’s no other real point to it all. The interesting thing is that they used a scourge model, which leaves some to wonder what the scourge were doing in the Badlands – so far from any territory they control. 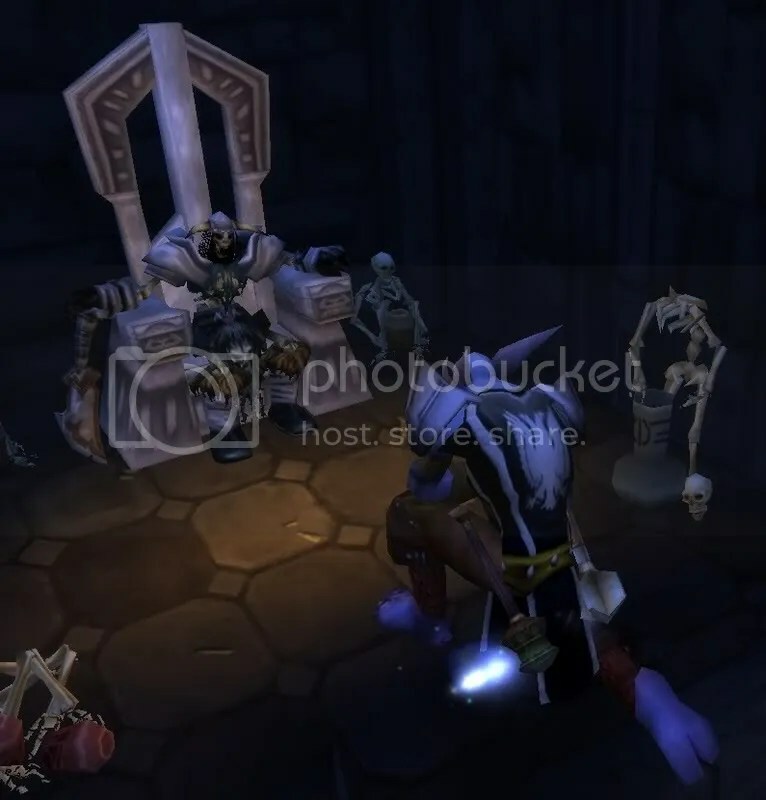 I suppose they could have come for Uldaman, the entrance to the crypt isn’t far from the backdoor to the Titan City. Perhaps they are remnants of the titans themselves? Of course they look nothing like the giant stone like beings, but have you ever seen a titan skeleton? No. You haven’t. Posted on October 18, 2008, in Eastern Kingdom, Oddities and tagged crypt, neutral. Bookmark the permalink. Leave a comment.